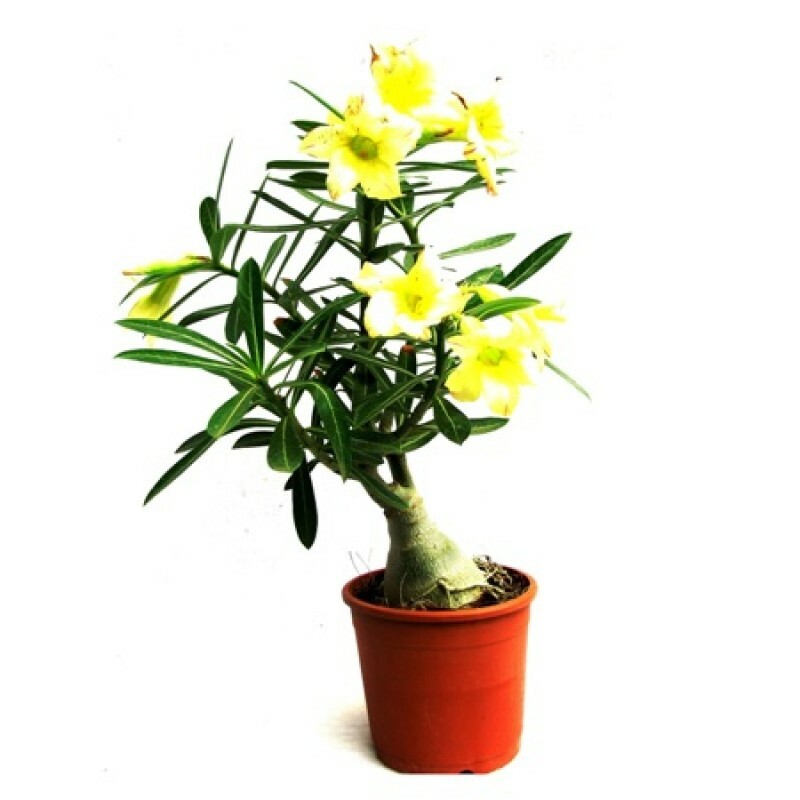 Container: Desert rose can also be grown in any container that permits good drainage. Unglazed ceramic pots are ideal, in that they allow the soil to dry out between watering. If a clay pot is used it must be wide enough to allow for expansion of the caudex, otherwise the container may crack. Whether you use plastic or ceramic is entirely up to personal preference but you must keep in mind that clay pots dry out much faster than plastic.